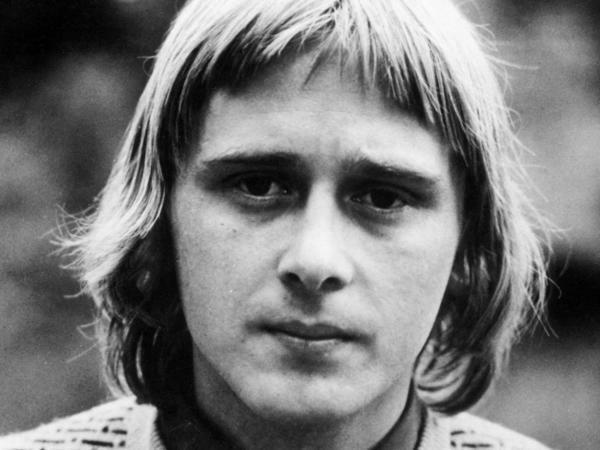 An undated portrait of Danny Kirwan, a guitarist during Fleetwood Mac's earliest years. Kirwan died at age 68 on June 8. "Danny was a huge force in our early years ... Danny's true legacy, in my mind, will forever live on in the music he wrote and played so beautifully as a part of the foundation of Fleetwood Mac, that has now endured for over fifty years," Fleetwood wrote. Kirwan was born on May 13, 1950 and joined the band in 1968. He appeared on five of Fleetwood Mac's albums: 1969's Then Play On and Blues Jam at Chess; 1970's Kiln House; 1971's Future Games; and finally on 1972's Bare Trees. In a 2017 interview, Mick Fleetwood recalled Kirwan as a massively important force in the group: "Danny was a quantum leap ahead of us creatively ... He is the lost component. In many ways, Danny is a forgotten hero," he told music critic Jim Farber. After leaving Fleetwood Mac, Kirwan issued a few solo projects for DJM Records, but battled mental illness, alcoholism and homelessness. In 1993, after Mick Fleetwood made inquiries about his well-being, the London paper The Independent and the U.K.'s Missing Persons Bureau tracked him down in a homeless shelter in London's West End, where Kirwan had been living for the past four years. In that Independent interview, Kirwan expressed little resentment towards his former bandmates, and downplayed his contributions to Fleetwood Mac's sound and ethos. "I was lucky to have played for the band at all," Kirwan told the British paper. "I just started off following them around, but I could play the guitar a bit and Mick felt sorry for me and put me in. I did it for about four years, to about 1972, but ... I couldn't handle the lifestyle and the women and the traveling." The guitarist also told the Independent that he had been functionally homeless since leaving the band. Kirwan was inducted into the Rock and Roll Hall of Fame as a member of Fleetwood Mac in 1998, but he did not show up to the ceremony.